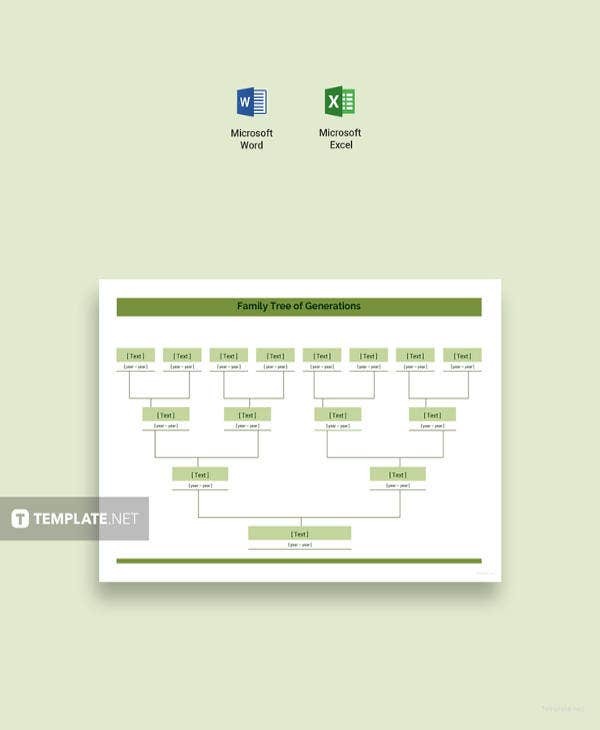 Family Tree Diagram Template – 15+ Free Word, Excel, PDF Format Download! You are getting a 5 generation family tree here. It includes the child, his parents, the child’s grandparents on both the sides of mom & dad and goes up to great great grandparents of the kid. 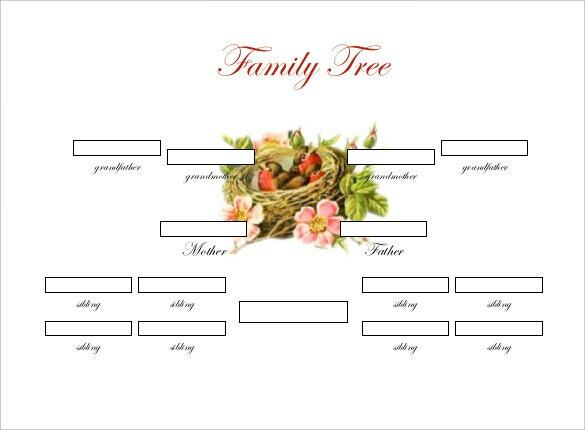 Check out this well-spread family tree template. It allows you to add family members going back four generations. Example, there is you, your parents, your grandparents, and parents of your grandparents – maternal and paternal. 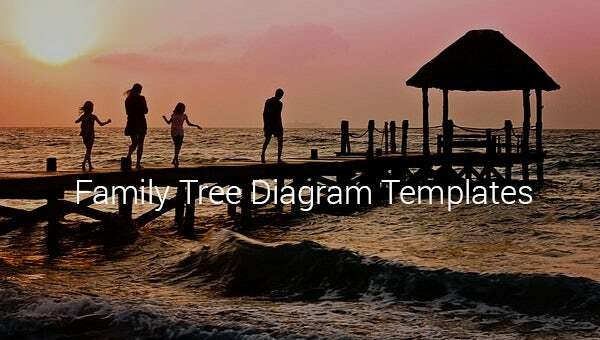 This a wonderful template example and you can easily resize the elements of the tree so that you can also accommodate it on a large-sized paper or chart. genoaschools.net | This ancestral family tree here spans across 4 generations. Along with the child, it mentions his parents, his grandparents as well as his great great grandparents. The birth place, marital status & living status of each member are also mentioned. 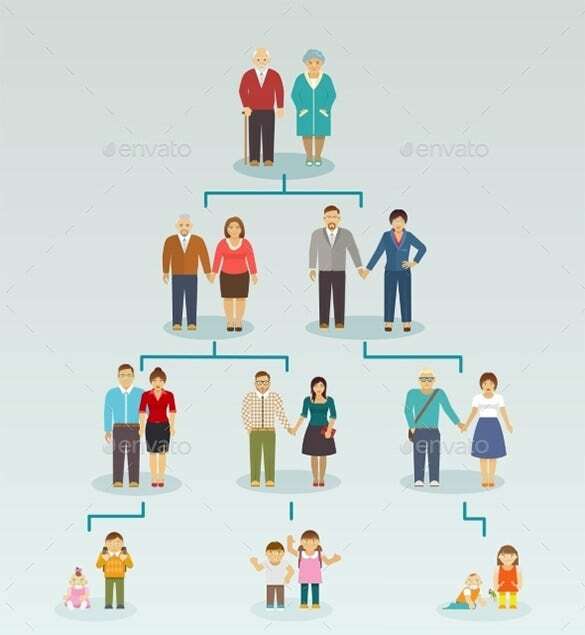 This is an elaborate family tree which includes 5 generations in one frame, up to grandparents and great grandparents of the child. It allows you to insert images along with text. 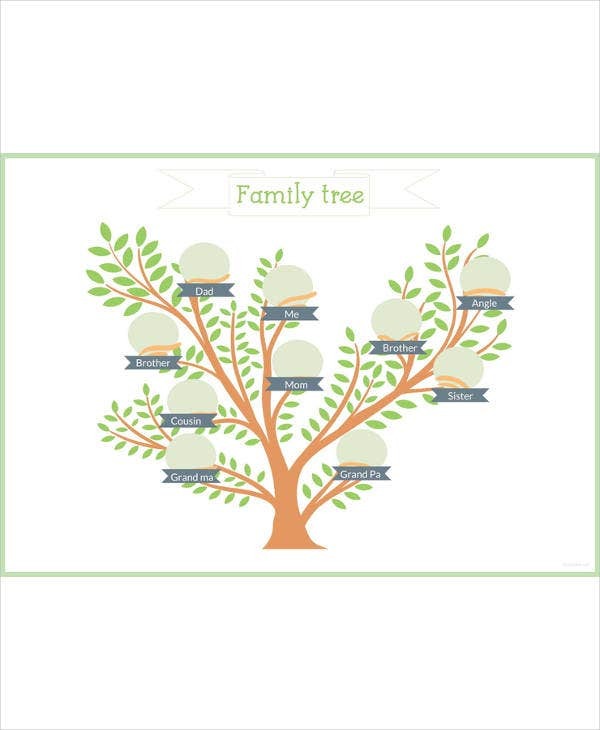 This is a detailed and large family tree with cute illustrations. It stretches till the level of great great grandparents of the child and also mentions the uncle, aunts & cousins. A family tree is an illustrative outline representing the family relationships. 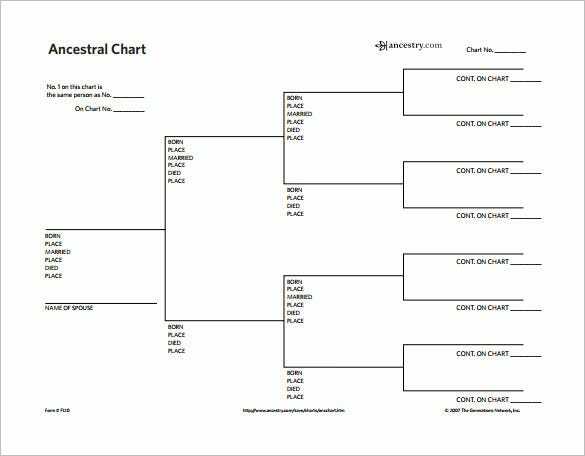 It is also called pedigree chart as it is in chart format. It has become a tradition to have a family tree in every home. 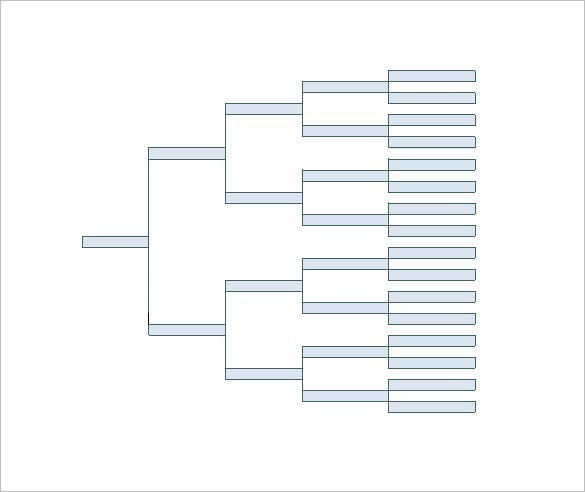 Microsoft Word is the most preferred software to make a tree disagree to represent the long lineage. 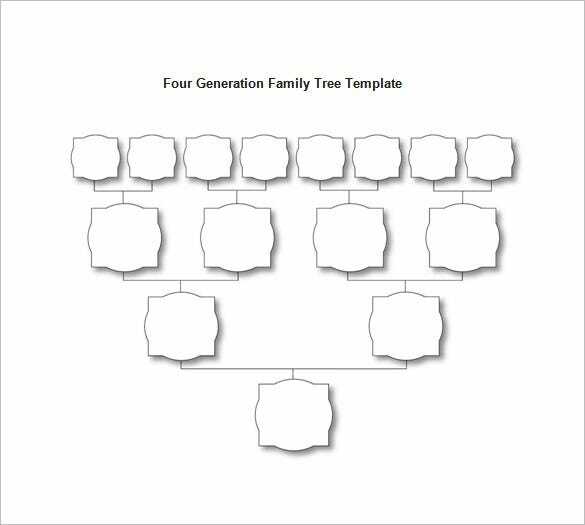 To draw a family tree, you can either do it manually, or you can use templates available. 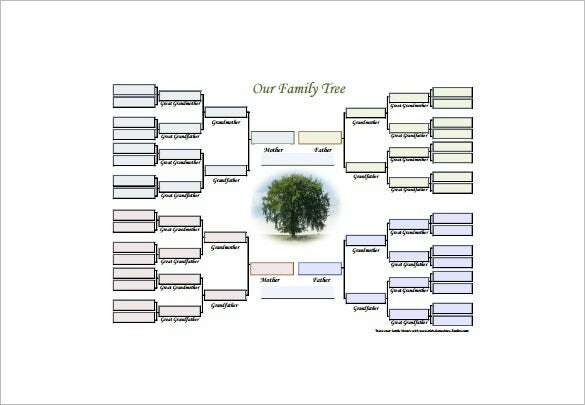 There are Family Tree Diagram Template with siblings, aunts, uncles, cousins and parents. All you need to do is fill the name and delete a few boxes that are not relevant. If you have more aunts, you can just copy and paste boxes to repeat them. 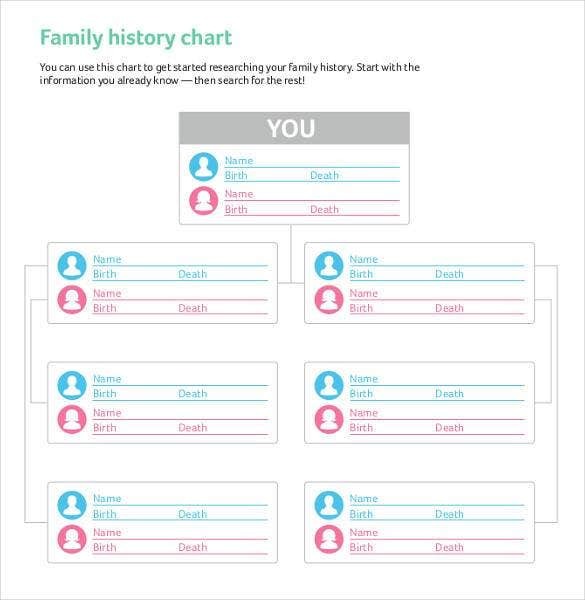 How to Make a Family Tree Using a Free Template on PowerPoint? 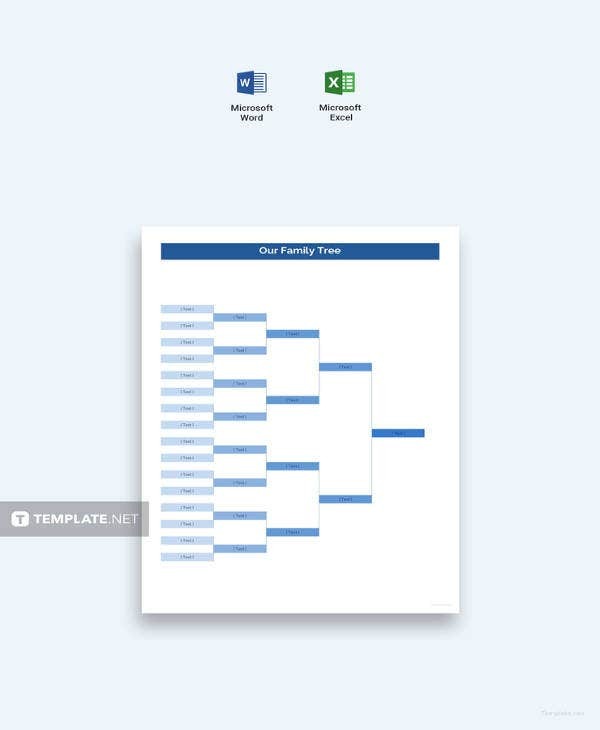 Unlike Microsoft Word where you have the freedom to design family tree manually due to availability on a long page, in PowerPoint, you have to use templates because you have to contain the diagram in one slide in possible. You have to download family Tree Diagram template and edit them as per your requirement. Most of them come in different colorful designs to distinguish the relationships easily. 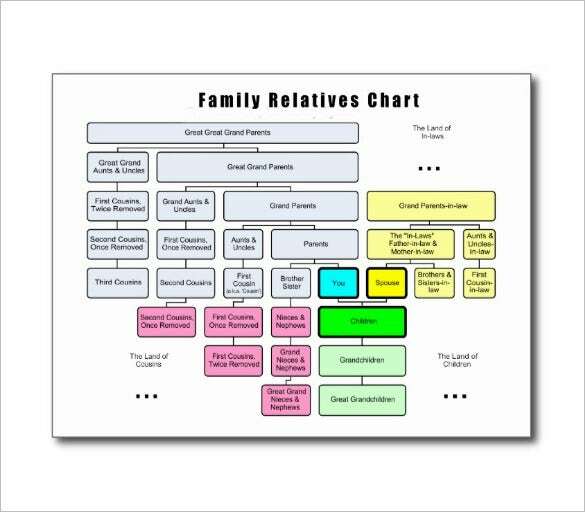 There are various types of family trees available like a family tree for kids, horizontal family tree, and even matrix family tree. Most of these templates have one slider design to show everything in a compact yet well-illustrated way. 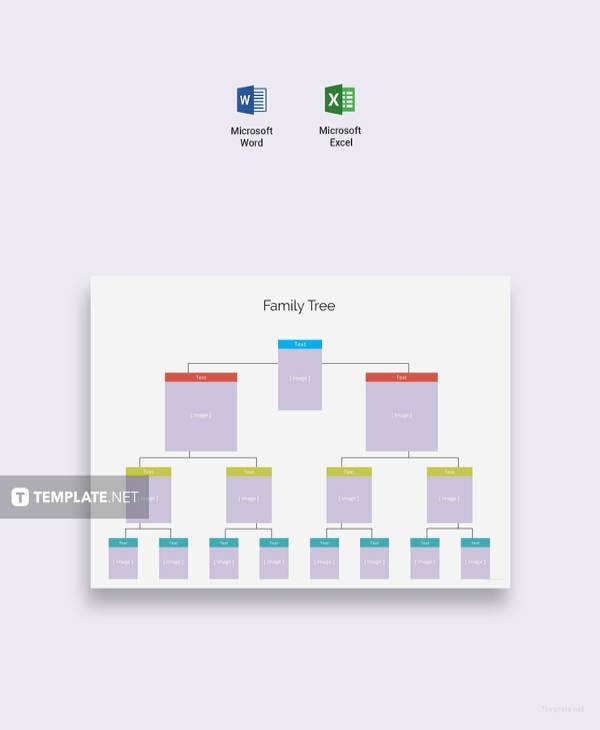 To create a family tree from scratch, open a new document in Microsoft and select Diagram Template from document type. Then go to insert option and select smart art buttons from the toolbar. A drop down will come from where you have to make the selection. You need to click on hierarchy, and to the left, you will see different types of charts. Select the family chart and chart on Ok. Then you got to edit the label and put the name of the members and their relationship. The top box will have the ancestor, and the flow will continue to the present generation. 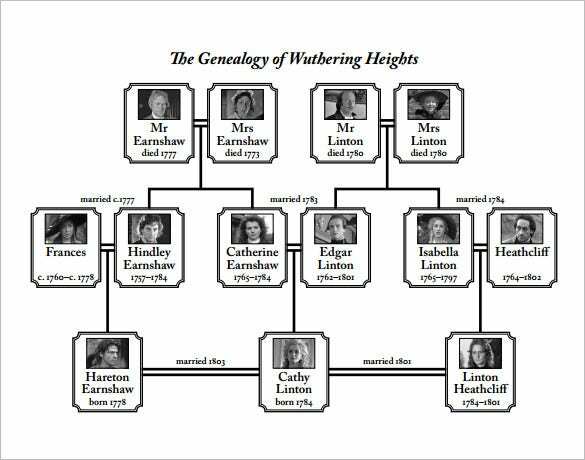 What Type of Diagram is a Family Tree? The family tree is popular in the medical field to study the case of a patient with complications. It can be of various types like hierarchical, matrix, and even horizontal. Hierarchical is the most popular one, and it is very convenient to draw. 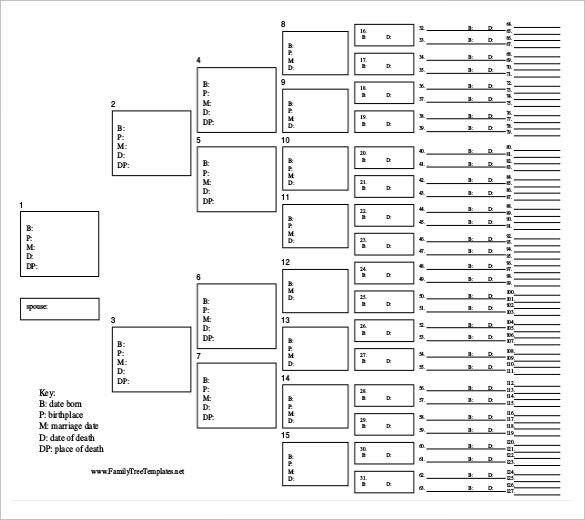 There are Blank Family Tree Templates that you can download and prepare the required family tree. 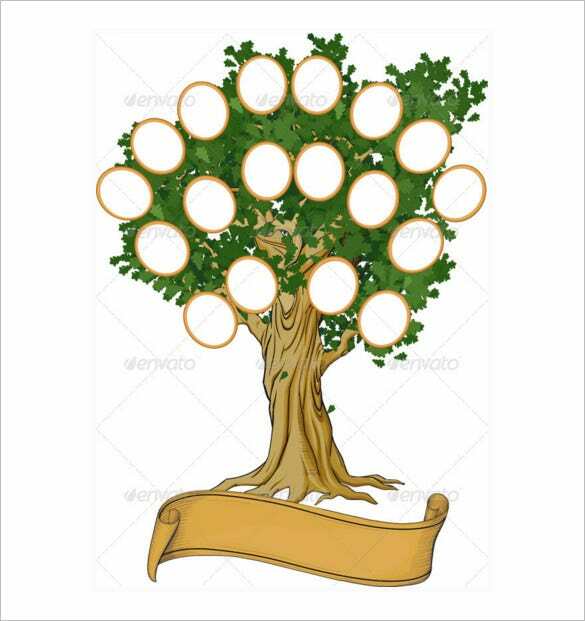 There is also Spanish family tree diagram which is quite popular for personal purposes like creating photo frames. You can also hire professionals to design it for you so that it is perfect and becomes something you will take pride in owning. 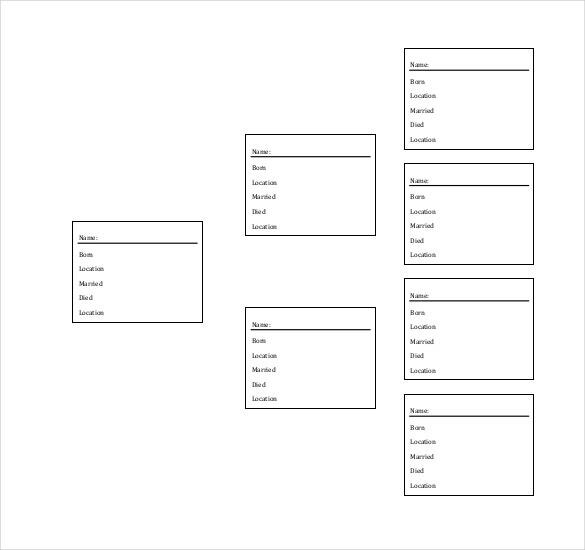 How to Draw a Family Tree for School?